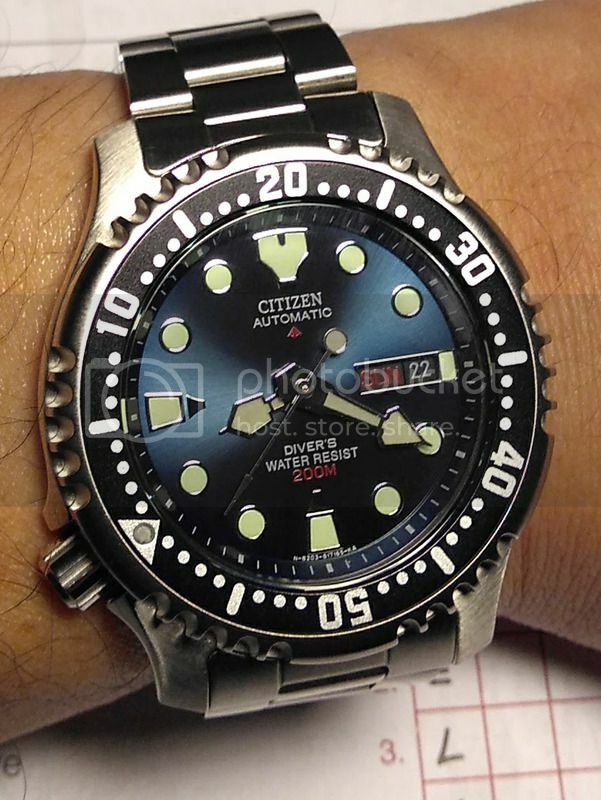 As a follow-up to my post earlier this evening, I acquired a couple of other Citizen divers in the past few months. All of them are automatics. I like that blue. very nice. Might try it on mesh, too, just for fun. 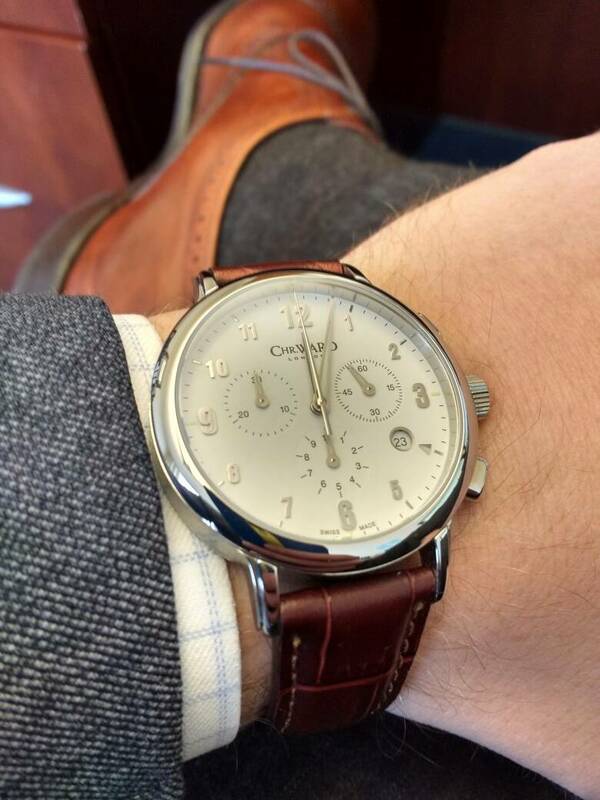 The GF knows I like watches. 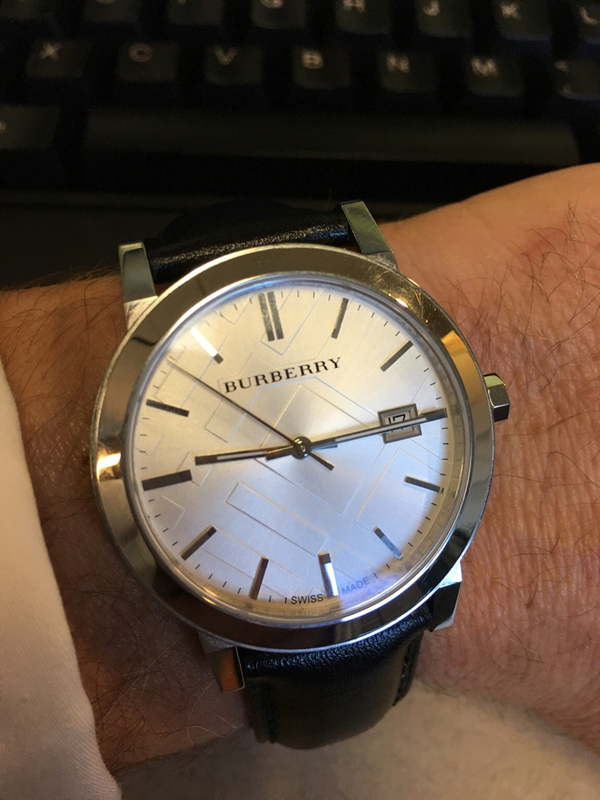 So she bought me a watch. And she did well. I've been tempted by that particular model on more than one occasion. 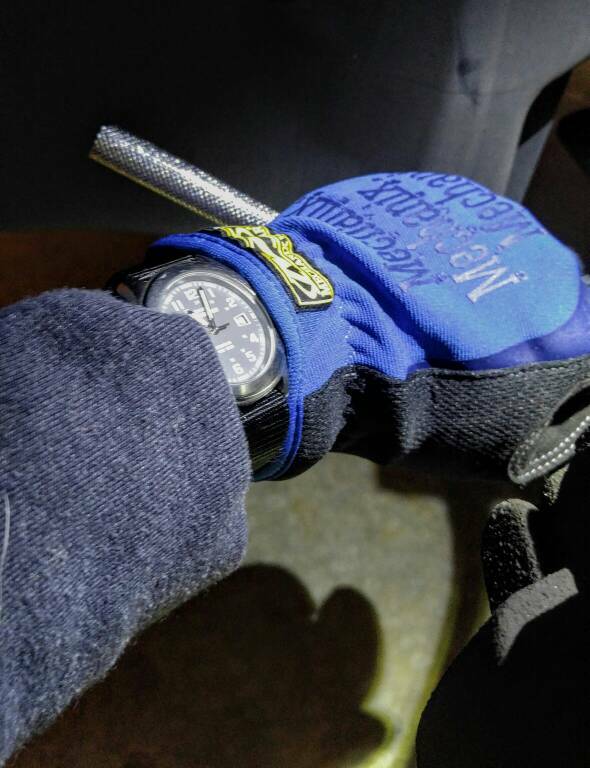 Timex doing what it does. 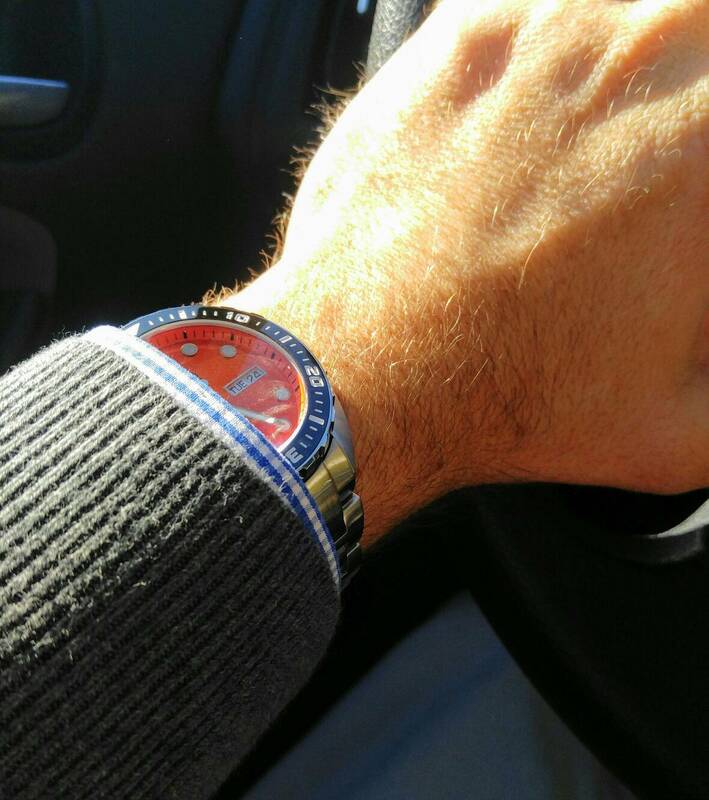 Particularly like how the Seamaster looks with this strap and outfit. I know my username is dumb; blame 12 year old me. Unexpectedly had to go in to the office so the orange got some office duty today. 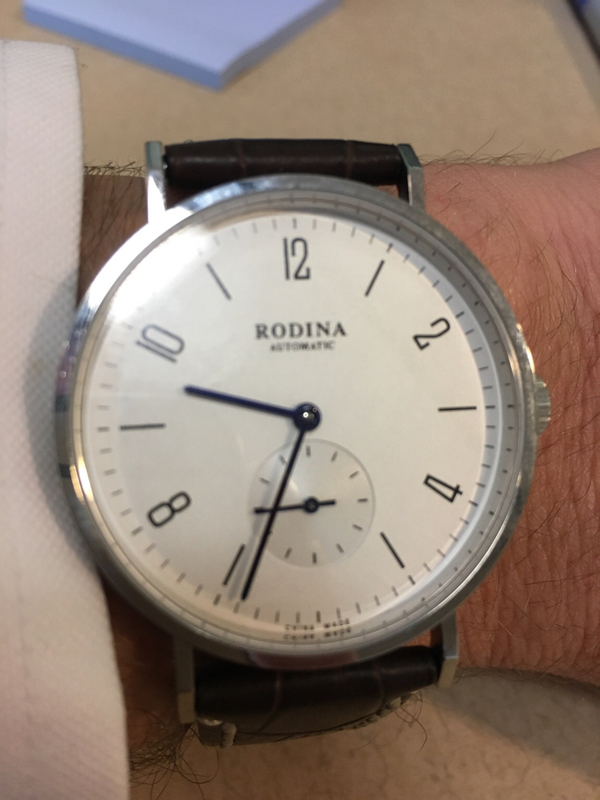 Rodina on a Hirsch strap.